Join us this summer for Shipwrecked VBS at the Elm City Vineyard! August 6-10 from 9am to 1pm! Each day we will venture onto an uncharted island where we discover that Jesus carries us through all of life’s storms. We’ll explore together through scripture how Jesus rescues us from loneliness, worry, mistakes, and more! FIlled with games, skits, crafts, and songs, ECV VBS 2018 is sure to be a fun and faith-filled adventure for all! Kids should be dressed for fun! Send kids along with a packed lunch so we can eat together at the end of each day. Children ages 3-11 are invited to participate. Children ages 12+ are invited to register as Junior Counselors to our little ones. For more information, contact asha@elmcityvineyard.org. 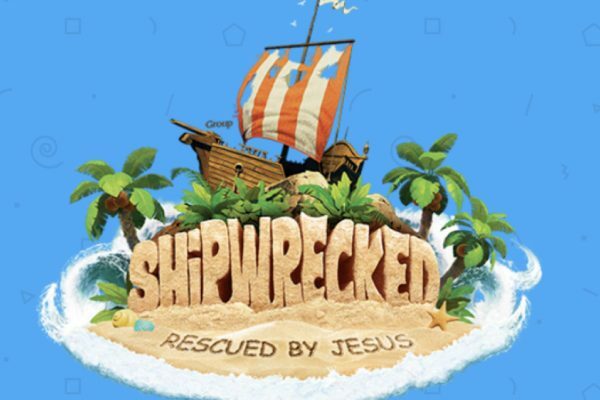 Join us this summer for Shipwrecked VBS at the Elm City Vineyard! August 6-10 from 9am to 1pm! Each day we will venture onto an uncharted island where we discover that Jesus carries us through all of life’s storms. We’ll explore together through scripture how Jesus rescues us from loneliness, worry, mistakes, and more! FIlled with games, skits, crafts, and songs, ECV VBS 2018 is sure to be a fun and faith-filled adventure for all! Kids should be dressed for fun! Send kids along with a packed lunch so we can eat together at the end of each day. Children ages 3-11 are invited to participate. Children ages 12+ are invited to register as Junior Counselors to our little ones. For more information, contact asha@elmcityvineyard.org.